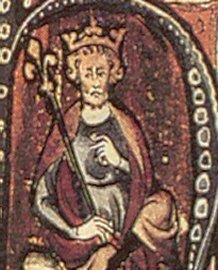 Canute (or Cnut the Great) (ca. 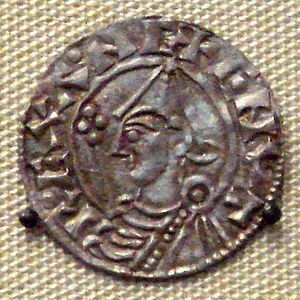 995–12 November 1035) was a Viking King of England, Denmark, Norway, part of Sweden and governor or overlord of Schleswig and Pomerania. 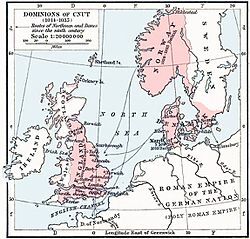 Danish influence in the North Sea region was never greater than in his time. 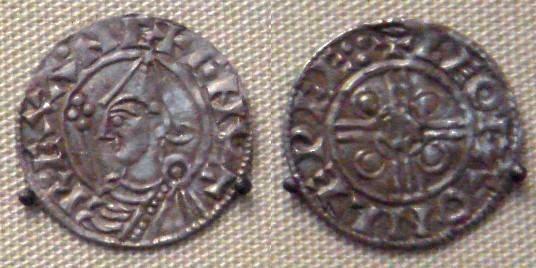 He had treaties with the Holy Roman Emperors, Henry II and Conrad II and good relations with the popes of his time. There is a story that Canute sat on his throne ordering the sea to turn back. We do not know whether this really happened. 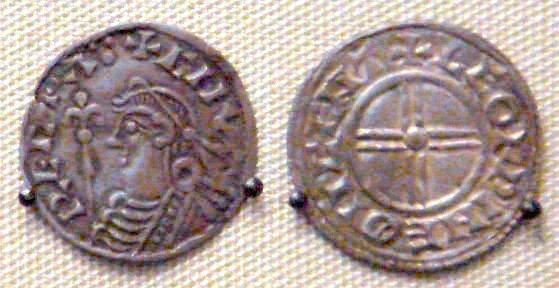 It seems to come from Henry of Huntington (c. 1088 – c. 1154). Angels crown Cnut as he and Ælfgifu present a large gold cross to Hyde Abbey in Winchester. Canute Facts for Kids. Kiddle Encyclopedia.